about the problem make regular appearances on television and newspaper outlets, sometimes with tragic endings. Bullying has moved from an adolescent rite of passage to a serious obstruction that is affecting the success of our entire education system. To further exacerbate the problem, students who are being bullied are likely to engage in the practice as a coping mechanism when they normally would not have felt the urge. Increased awareness of the problem and the attention it is attracting might lead people to believe that the rate of bullying instances is increasing, when in fact the opposite is true—that awareness might be leading to decreasing bullying rates according to some studies. That being said, students with special needs are at a significantly greater risk of being bullied than their nondisabled peers are. Special needs students are two to three times more likely to be harassed, with 60 percent of students reporting instances. Disabled students, a section of the student body that already suffers from a lack of self-esteem, find themselves fighting an uphill battle to fit in with their peers. In other words, our students who can least afford to experience the effects of bullying are more likely to do so – by a wide margin. There is no overarching cause for bullying, especially among special needs students. No matter how illogical, anything that makes a student stand out from the crowd puts them at increased risk. Students with special needs obviously have no shortage of traits that make them stand out. Another sad fact is that, while bullying among nondisabled students tend to be more generalized in nature, the bullying that special needs students endure tends to be more focused on the disability that is making their peers take notice. Perhaps a low tolerance of frustration, such as some students with attention deficit or hyperactivity exhibit, can make a student stand out because of their outbursts and “meltdowns”. Motor difficulties can mean students have trouble performing manual tasks in class, like reading and writing. inability to keep up in class. Any student with assistive devices for hearing, speech, or vision can feel pressure to resist using their devices due to the unwanted attention they bring. All of these situations, and more, have the resulting effect of causing the student to fall behind their peers in the classroom. In an age of standardized testing and pacing guides, perhaps these students are bullied simply because they are keeping the rest of the class from making the progress necessary to remain on schedule. Whatever the cause of the bullying, there are steps we can take to remedy the issue. Every state in the union other than Montana has enacted laws that address bullying in the general student population, with varying remedies and punishments. There is no overarching federal bullying law, but any school that accepts federal funding must have an anti-discrimination policy in place. Most try to frame bullying in a discriminatory light in order for incidents to fall under those policies. However, for students with disabilities, the laws are much more clear. Bullying of a special needs student falls under the definition of disability harassment, incidents addressed by Section 504 of the1973 Rehabilitation Act and Title II of the 1990 Americans with Disabilities Act. Simply put, a student with an active 504 or IEP plan that is being denied an opportunity at an equal education because of harassment is protected under these laws. In 2013, the Department of Education updated their guidance on bullying of special needs students. But those are punitive steps to be taken after a bullying incident occurs. What steps are being taken to stop bullying, particularly of special needs students, before it starts? One of these steps, education of all students about bullying policies and procedures, is becoming nearly universal in a district’s anti-bullying toolkit as part of comprehensive strategies that seek to eliminate the bullying problem. Overall, these strategies are not one-size-fits-all. 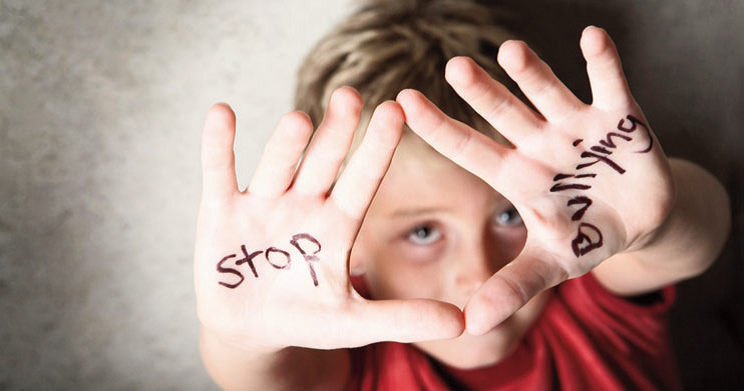 Effective antibullying strategies must first analyze the specific behaviors currently taking place in the school environment, including those behaviors that affect special needs students. Only then does a comprehensive strategy seek to implement research-based best practices that proactively address bullying among the entire student body. to all staff, but particularly the teachers.Although teachers catching bullying in progress might not be a regular occurrence, they should also be trained on what to do in that instance. bystander. Special needs students need to be specifically mentioned in any teaching strategies, as these students are becoming more and more integrated with the mainstream. This guidance needs to be consistent across the school. You simply cannot expect students to inherently know what is expected of them without actual direct instruction. inactive approaches like posters and announcements, as well as reinforcement from school staff on a regular basis. Again, bullying of special needs students needs to be explicitly addressed. Bullying behaviors need to be monitored and tracked so policies and procedures can be amended based on the ever-changing needs of the school and students. This information also needs to be disseminated to all stakeholders as active partners in the anti-bullying campaign. Parent notification of bullying instances needs to be prompt and clear so they can participate in any remedies that may be required. Actively addressing any changes in the school’s anti-bullying culture, including any concerns that might come up from involved stakeholders, shows that the strategy is always evolving and ongoing. Finally, any strategy needs to be given time to show results. In many schools, educational approaches and pedagogical ideas come and go, almost as fads. Stopping bullying is not a fad or a trend. It is an imperative and should be treated with the appropriate seriousness. through the media, more emphasis has been placed on materials for student consumption. Videos and curricula are prevalent and can aid staff in tackling the issue with students. Research suggests that you want to build a comprehensive program with age-appropriate student materials, staff support and family components. A video by itself has short-term impact; consider pairing it with a character education workbook and posters as you start to buildout your school’s anti-bullying education. Tackling the engagement issue is tricky, especially with jaded older students. Dated materials will not connect as effectively as products that are more recent. It’s also worthwhile to consider incorporating high interest game and novels that have a positive message into your weekly routines. For younger students, the options are more numerous. Children’s literature has particularly sought to meet the anti-bullying needs of schools and parents. These books have good character development lessons woven into engaging plots and stories. Games and other materials are also available. Suzanne Pearson is manager of Market Research and Special Projects at School Specialty. She has taught at the elementary and middle school levels. Her BA in history and education were earned at William Smith College. She has over 25 years experience working in and with schools. In her current role she focuses on product and program implementation and evaluation in schools across North America. Her areas of interest include literacy, engaging students in learning and genealogy.